This year I was pretty exhausted by the time I made it to Shetland, and was glad to have planned a nice chilled out week. 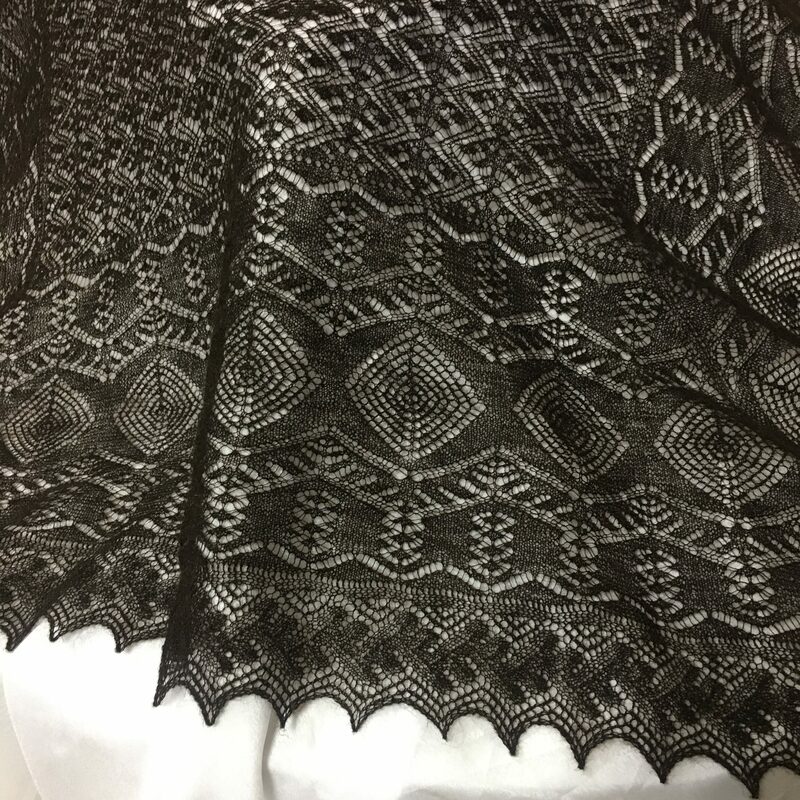 One of the things I was looking forward to was actually getting a serious amount of knitting done – I had seriously lost my mojo over the summer. 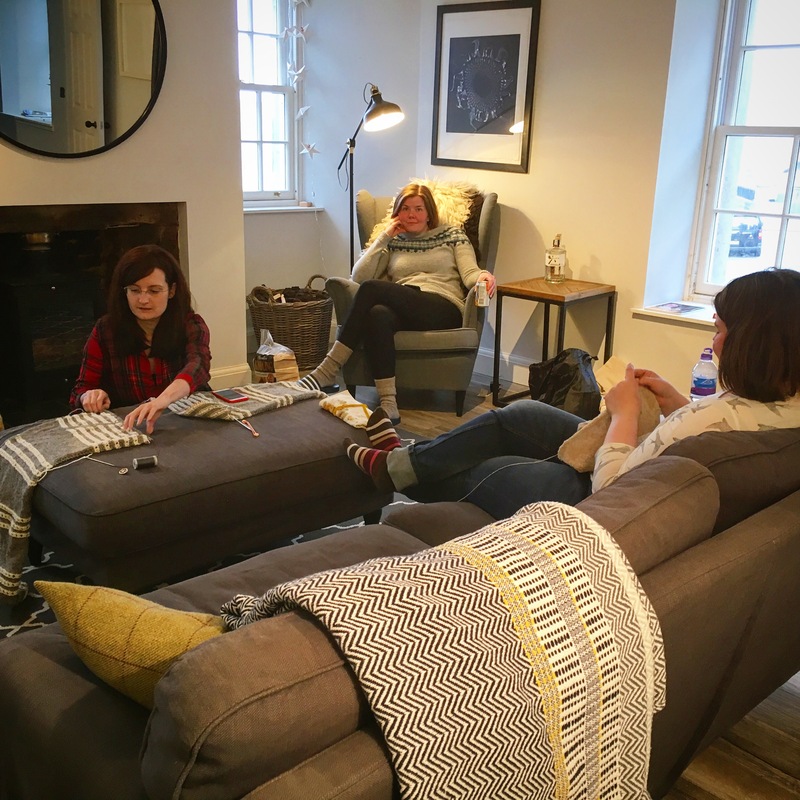 We had a fantastic flat, which was just the perfect place for a good knit and natter. 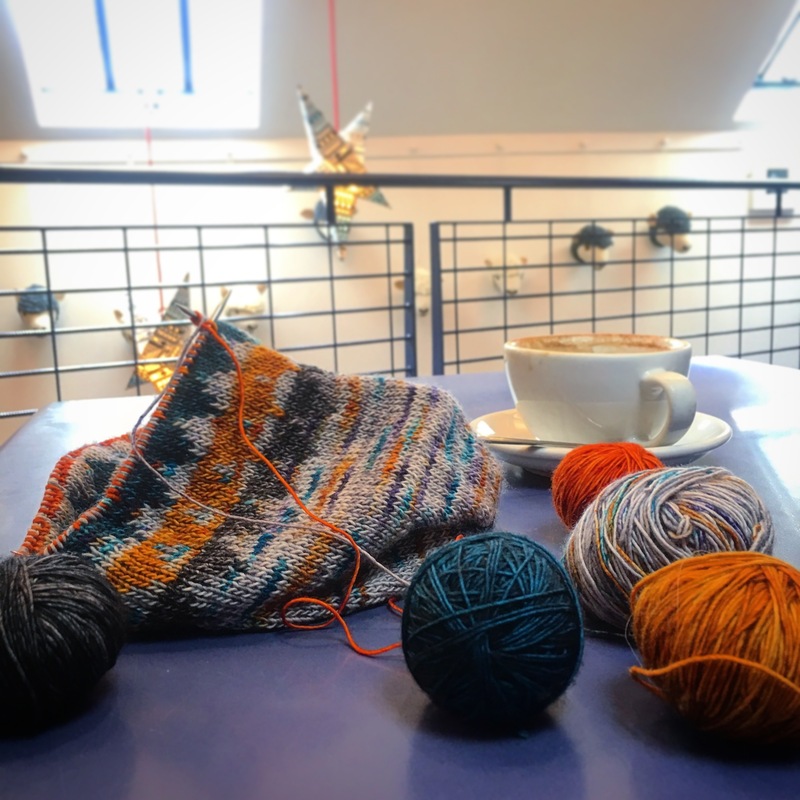 There were cafe’s to knit in. There was an almost endless array of amazing knitwear to look at for inspiration! 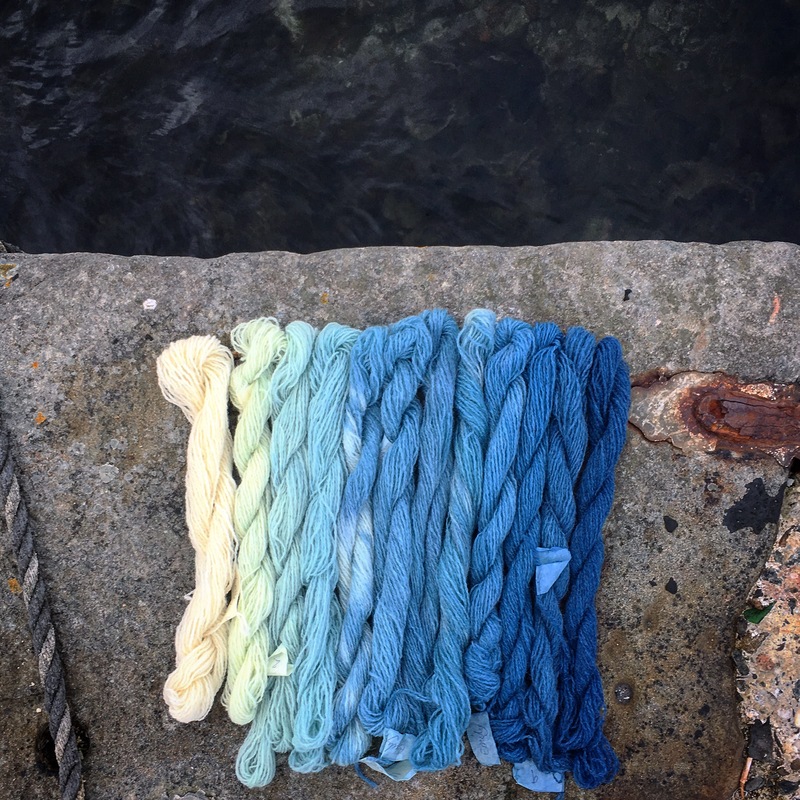 And then of course there were the classes – one of mine was on dying an indigo gradient, the products of which I am very much looking forward to making something with.